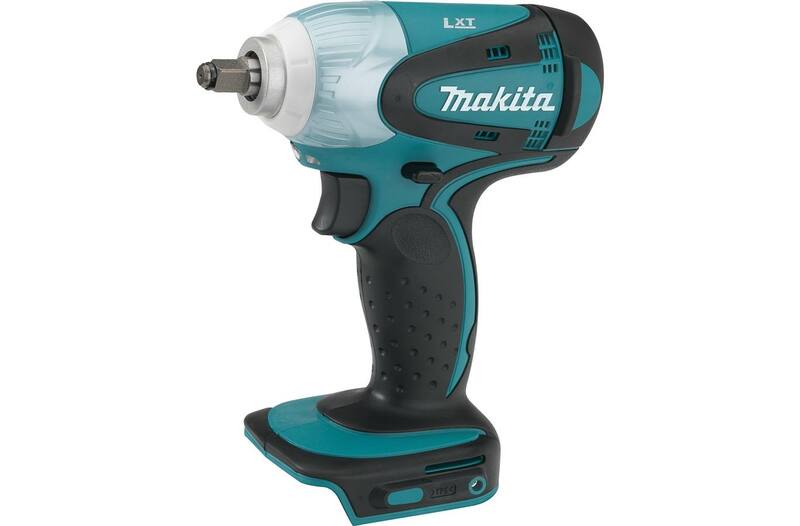 The Makita 18V LXT® Lithium-Ion Cordless 3/8" Impact Wrench (model XWT06Z, tool only) delivers cordless impact power with a 3/8" square drive that will fit impact-rated socket sets. The versatile XWT06Z packs plenty of torque for a wide range of fastening and loosening tasks, yet it weighs just 3.4 lbs. 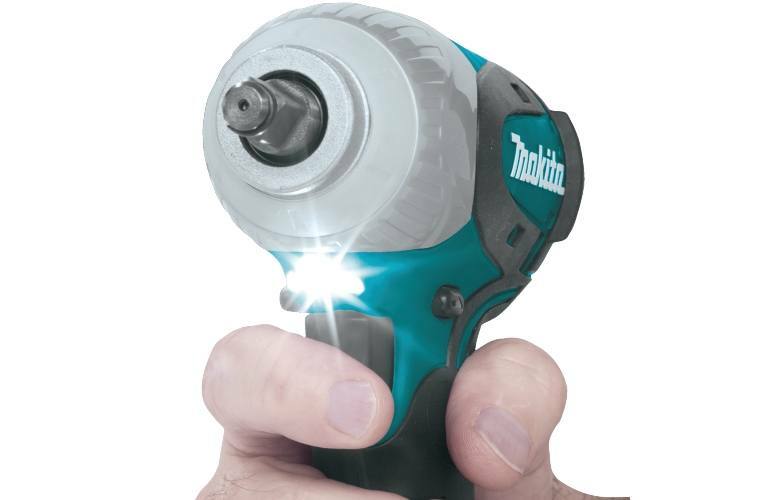 (with battery, sold separately) and is a cordless option to air-powered tools, particularly for automotive work. The XWT06Z features a Makita-built 4-pole motor that delivers 155 ft. lbs. of Max Torque, 0-2,100 RPM’s, and 0-3,200 impacts per minute for a wide range of fastening tasks. 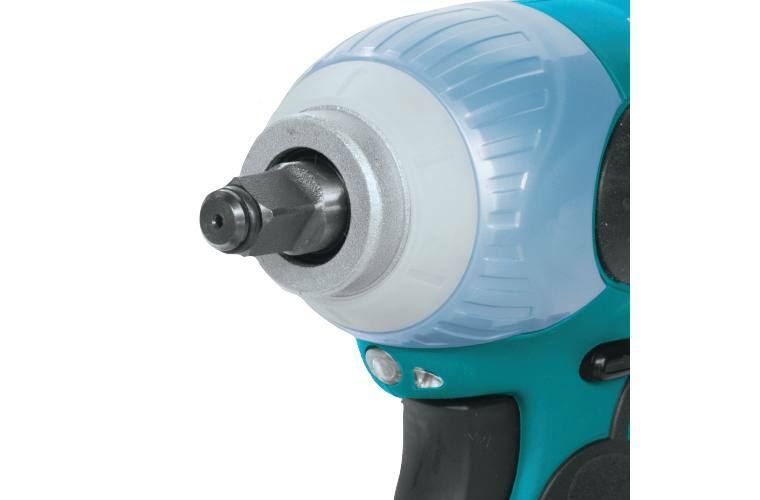 Makita’s proprietary hammer and anvil impact mechanism are manufactured using the best raw materials with the highest quality steel and unique heat hardening process for maximum fastening and driving power. The XWT06Z weighs just 3.4 lbs. (with battery, sold separately) with a more compact design at 6-1/8" long and an ergonomic shape that fits like a glove for reduced operator fatigue. The XWT06Z is also equipped with a phosphorescent bumper ring for quick location in dark spaces, a built-in L.E.D. light to illuminate the work surface for more efficient work, and a 3/8" square drive that will fit impact-rated socket sets. The XWT06Z is a cordless option to air powered tools for automotive work and more. This impact wrench’s compact design with less weight makes it perfect for assembly applications, fabrication trades, installation, and especially automotive industry specialists who require a best-in-class engineered impact wrench.